Washington – Monday, January 19, saw Jesse Baltazar, a WWII veteran, get the military recognition he long deserved — A Purple Heart. The ceremony happened after more than seven decades since he saw action in the Second World War. As an USAFFE soldier battling Japanese forces in the Philippines he got captured by the enemy and forced to take part in the grim Bataan Death March. Jesse Baltazar signed up for the U.S. Armed Forces Far East [USAFFE] after the Japanese Imperial Army attacked Pearl Harbor 1941 and threatened to invade the Philippines, which was his native country, as during this time, it was under American control. Baltazar became part of USAFFE’s 71st battalion. When Japanese war planes bombed the unit’s camp on March 15, 1942, the Purple Heart holder got hit by a shrapnel in the leg. Due to the facilities and the medical supplies being very limited at that time, the WWII vet had to undergo a surgery with very little anesthesia while they were deep in the jungle. A few weeks after he went that gruesome surgery, the Filipino and American troops who were within the Bataan peninsula were forced to surrender after the Japanese forces took control over the country. The American and Filipino POWs were not only forced to lay their arms down, they were also compelled by their captors to take a sixty-mile hike which went down into history as the infamous Bataan Death March. While marching, the prisoners of wars were subjected to horrid physical mistreatment and disease. many of those who took part in the Bataan Death March did not make it to the end. That time, Baltazar was still recovering from his wounds. Being one of the POWs, he was forced to use a bamboo stick as a cane. On his third day in the Bataan Death March, the Purple Heart recipient managed to escape and hid in fishing boat until he got home safely. But Baltazar did not stop fighting even after he got wounded. He joined the Filipino resistance movement and became a guerrilla, waging war against the Japanese forces until the return of the American troops and the liberation of the country from the former. In spite of sustaining wounds while he was in action, Jesse Baltazar was not given the Purple Heart right after WWII as the Army lost his military records. However, this case of being “overlooked” did not stop Baltazar from enjoying a long career within the military service. When he got discharged from the USAFFEE after the Second World War ended, he migrated to the United States. 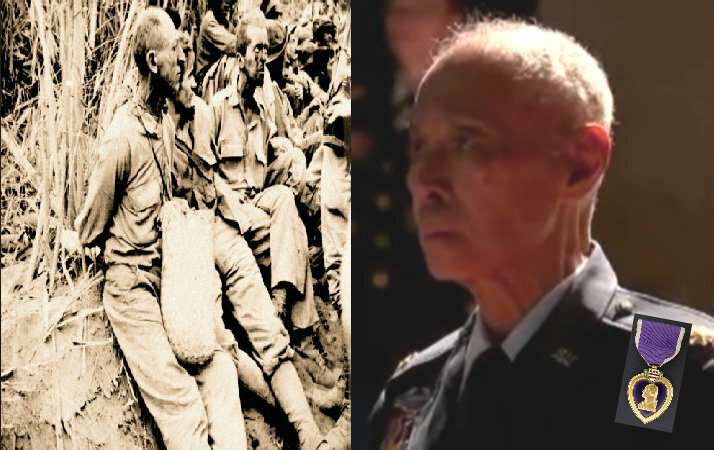 He received a commission in the Air Force in 1948 and became the first native-born Filipino to join in the said service. Baltazar went on to serve as a member of the Air Force Office of Special Investigations during the Korean War. He eventually retired with the rank of major. These past two years were spent reconstituting his records. 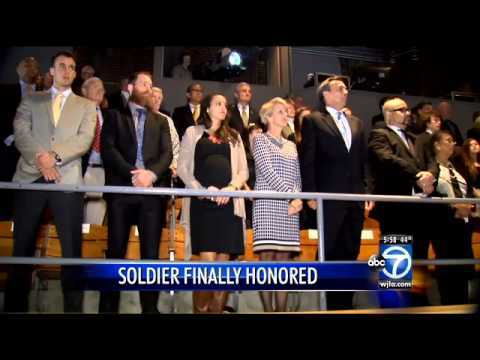 Additionally, his family and friends campaigned hard for him to get the Purple Heart medal. According to the WWII veteran, Secretary of State John Kerry, who himself was a military veteran during the Vietnam War, lent weight to all the efforts put in for him to get the recognition he deserved. During the awarding ceremony, Jesse Baltazar’s wife and five children were all there supporting and standing proud for him. Baltazar, for his part, expressed how grateful he is to finally receive the Purple Heart medal and very happy that his family stood proud beside him throughout the event. Baltazar’s legacy as a soldier had passed on to his children. His son, Thomas Baltazar, now 57, followed in his veteran father’s footsteps and enjoyed twenty-six years of military service before retiring with the rank of a colonel. Purple Heart holder Jesse Baltazar is now 94. When asked what his secret was for living that long, he jokingly answered, “Vegetables”.